First Graders are #1! 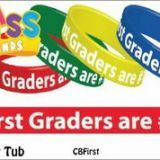 Class Bands let your 1st graders show off their First Grade status! 36 classbands per reusable container. Happy Birthday! 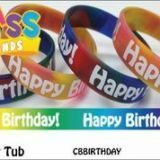 Class Bands are a great way to help celebrate! 36 classbands per reusable container. 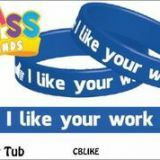 I Like Your Work Class Bands motivate and reward with 2 thumbs up! 36 classbands per reusable container. I Lost a tooth! 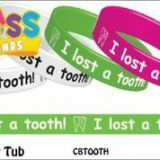 Class Bands are a fun way to recognize kiddos! I Love School! 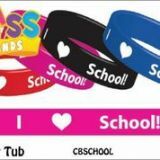 Class Bands are a great reward for all ages! 36 classbands per reusable container. 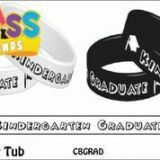 Kindergarten Graduate Class Bands are perfect to recognize new graduates! 36 classbands per reusable container. Kindergarteners Rock! 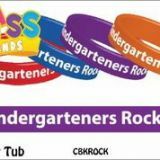 Class Bands help recognize all rockin' kinders! 36 classbands per reusable container. 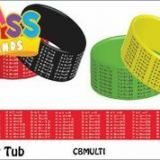 Multiplication Tables Class Bands are a great reward for students who have mastered times tables or who might need a little reminding! 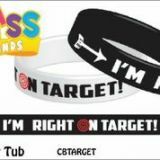 18 classbands per reusable container. 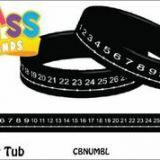 Number Line Class Bands are great for the learner who has mastered 1-30 or for the counters who might need a little help! 36 classbands per reusable container. 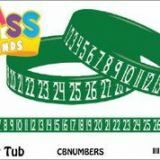 Number Class Bands are great for the early learner who has mastered 1-30 or for the counters who might need a little help! 36 classbands per reusable container.